As an existing provider of telephone audio solutions to Enfield Borough Council, Premier Business Audio were asked to create informative videos that clarified some of the key processes of the council’s services. Premier’s creative process surrounded the storyboard development and the direction that the video would take. As the existing provider of the Council’s brand voice, Premier extended this from their telephone audio IVR to their video solutions. This further enhanced the Council’s audio branding, enabling synchronicity across their various channels. In order to match the content of the on screen forms, Enfield Borough Council were able to provide the Premier creative team with succinct scripts that would accompany the videos as a narration. 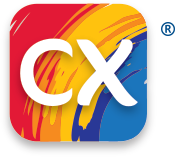 Premier CX are a point of contact creative agency. Nestled in the gorgeous Hampshire countryside, our award-winning team work with some of the UK's most successful brands.